The inertia dominated collapse of micro cavitation bubbles in a viscous liquid with surface tension is investigated. In addition to the well known dramatic collapse mode, a smooth decrease of the void cavity is also possible due to the viscous damping. This effect is especially important for micro bubbles although the importance of surface tension increases strongly with decreasing initial radius. The collapse discussion can be performed easily without large numerical efforts by means of an analytical collapse criterion formulated by Bogoyavlenskiy. The results presented are relevant for cavitation theory and particular helpful for applications in microfluidic systems. Es wird der trägheitsdominierte Kollaps von Mikrodampfblasen in einer viskosen Flüssigkeit mit Oberflächenspannung untersucht. Aufgrund der viskosen Dämpfung ist neben dem bekannten singulären Kollaps auch ein schleichendes Verschwinden der Blase möglich, was insbesondere für sehr kleine Blasenradien trotz der Bedeutungszunahme der Oberflächenspannung relevant ist. 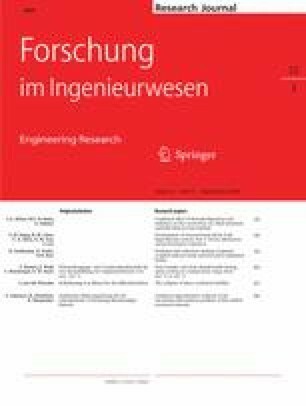 Die Diskussion kann mit Hilfe eines von Bogoyavlenskiy formulierten analytischen Kollapskriteriums transparent und ohne größeren numerischen Aufwand geführt werden. Die gefundenen Resultate können für die Kavitationstheorie und für Anwendungen in mikrofluidischen Systemen verwendet werden.